Bernie Sanders may not have performed too well in the southern part of the US during ‘Super Tuesday’ yesterday, but in Denmark he was an overwhelming winner. About 70 percent of the US democrats living in Denmark pointed to Sanders as their candidate for the Democratic Party, according to the Global Presidential Primary held by Democrats Abroad, the official organisation operated under the auspices of the Democratic National Committee in Washington. 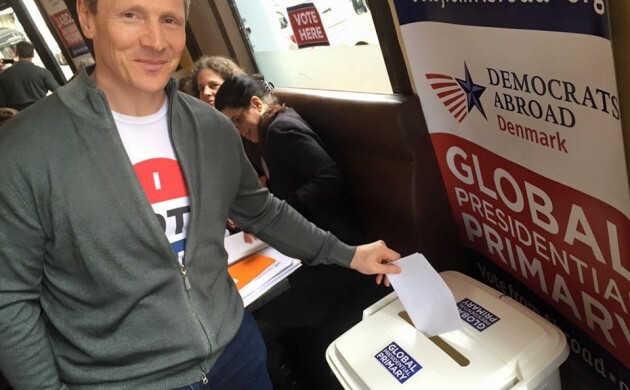 “Our campaign runs from March 1-8 so you can still vote online,” said David S Miller, the spokesperson for Democrats Abroad Denmark. And it wasn’t just Denmark who voted for Sanders. The vast majority of Americans living abroad picked him over Clinton. “I think it’s down to two things. It’s about the universal healthcare system and free university, which we know and understand, but it’s also about the people living outside America’s borders thinking differently and being accustomed to other things,” said Miller. Despite Sanders’ success on the global stage, he struggled at home. Clinton dominated in the southern states, winning Arkansas, Texas, Alabama, Tennessee, Georgia, Virginia and Massachusetts, while Sanders won Vermont, Oklahoma, Colorado and Minnesota.